The Swiss composer Émile Jaques-Dalcroze (1865–1950) is best remembered for his development of Eurhythmics, which teaches the appreciation of music through movement. 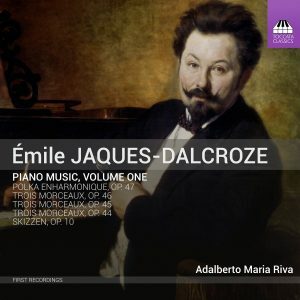 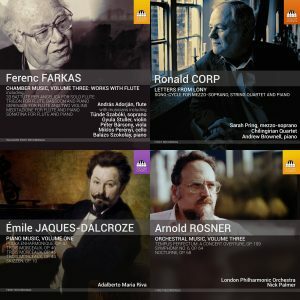 But Jaques-Dalcroze, who studied with Delibes and Fauré in Paris and with Bruckner and Fuchs in Vienna, was a considerable composer in his own right, with operas, cantatas and orchestral works among his substantial output. 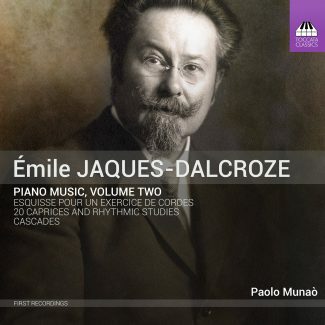 His 20 Caprices and Rhythmic Studies constitute an important but hitherto unknown set of character-studies, combining a relaxed lyricism with technical challenges of considerable subtlety for the player.